作者: Dilmurod Jumaboev on 21 March , 2019. “In the next 4-5 years, we set a goal to cover all kindergarten-age children with the system of pre-school education. It is our duty to women, children of our country, moreover, our sacred task for the sake of the future, and we will definitely fulfill it” – this is what recently Shavkat Mirziyoyev, the President of Uzbekistan, said at the International Women’s Day and it clearly explains today’s approach of Uzbekistan to pre-school education. “Currently, there are 7,104 kindergartens in our country. In the past two years alone, 2121 kindergartens have been built, which adopted 243,000 children. Thus, the coverage of children by preschool educational institutions over the past year and a half has grown by 12 percent and now stands at 38 percent” mentioned Mirziyoyev. The government recognizes the importance of investing in early childhood education, and it has announced an ambitious plan to expand ECCE services provided with the aim of achieving 100% enrollment for children, as mentioned above. With this goal, it established the Ministry of Preschool Education in September 2017 to play the lead role in the expansion of ECCE in Uzbekistan. Such a special ministry of preschool education is unique in the world. In February 2018 Fund for Development of Non-State Preschool Educational Institutions has been established in Uzbekistan which is providing soft loans for the acquisition, construction, reconstruction and repair of buildings and structures for private kindergartens. Considering the importance of expanding the network of non-state kindergartens, Public-Private Partnership mechanism has been widely introduced in the sector. On April 5, 2018, a Presidential Decree which approved the Regulations on Public-Private Partnership in the field of pre-school education was signed. It provided various models of public-private partnerships, as well as a number of benefits, including tax and customs, (e.g. zero taxes during 10 years) and the possibility of obtaining preferential (zero percent) loans for the organization of pre-school educational institutions. 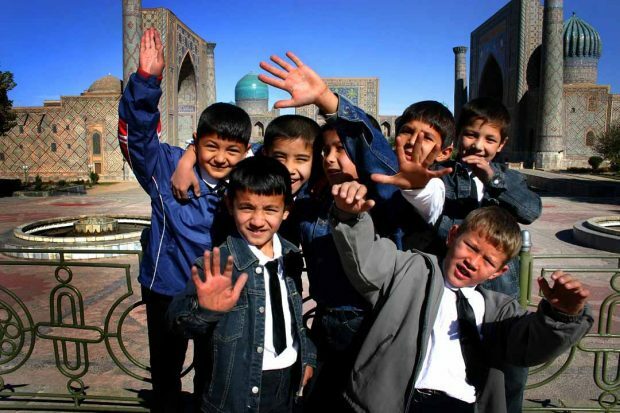 In order to increase enrollment, the government of Uzbekistan is actively investing in the preschool sector. International organizations are strongly supporting this effort. For example, The World Bank is having a project financed through a $49.9 million grant from the Global Partnership for Education that aims to enroll over 100,000 boys and girls aged 3-6 years in over 2,400 rural preschools nationwide by July 2019. Also, cooperation is envisaged for the development of projects with the Asian and Islamic Development Banks. The prices in kindergartens in Uzbekistan are very affordable. It is about 8-10 USD for a month. If more than one child from the same family attends kindergarten, there is a discount. Children from families with low income get free access to kindergarten. Particular attention is paid to children at the age of 6, covering them with compulsory free one-year preparation for school. From this year, kindergartens of Uzbekistan received a right to provide additional paid services. In particular, they will provide services on non-working hours and day-offs, as well as sport and educational training to children.